What’s hot in events when the weather is cold? Home » Blog » What’s hot in events when the weather is cold? Well, firstly…cheese! All over London pop up restaurants are brimming with cheese. Whether it’s fondue or raclette – it seems the weather has been perfect for these sumptuous dishes that are so popular in snowy climes. You literally can’t move for them, whether it’s Jimmy Garcia’s ultra-cool snow globes on the Southbank, a pop up Raclette Bar in Clapham or the Giant Cheeseboard in Greenwich. We can’t move for the stuff. Next…there are the usual office Christmas parties themes that remain so popular year in, year out. Whether it’s Winter Wonderland, Narnia, Dickensian, Gatsby or Alice in Wonderland, there is so much room for more creative and fantastical ideas that can be enjoyed with relish and really feel new and exciting. 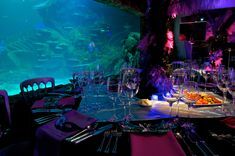 But you could try something different – what about Breakfast at Tiffany’s, Scandinavia, The Tsar’s Ball, Northern Lights, Under the Sea or Down Mexico Way, there’s so much fun that could be had but isn’t tapped into it seems. Just the usual safe bets. The same can’t be said for the London Dungeon however which is offering something totally different along with food served throughout the experience, for those who don’t want the usual festive offerings. 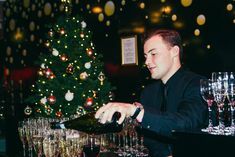 Looking at another side of trends, according to venue-finding resource Hire Space, the most popular day for office Christmas parties this year is Thursday 14th December. So, watch out for tipsy travellers if you’re taking the tube or ordering a cab. It seems the best time to book a party is August as most enquiries are taken in September and it can lead to a lag, so to get it done quick smart, August is the best option. It’s no surprise that larger parties (200+) take longer to organise and savvy organisers do it after they’ve enjoyed this year’s party to bag the best dates, which will probably be Thursday 13th or Wednesday 12th. To check out what we’re offering next year, including at the London Dungeon, click here. Enjoy the festive vibes and the copious number of parties – wrap up warm, it’s cold outside!